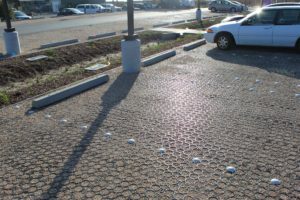 Permeable paver parking lot at UC Santa Cruz in California. Permeable paving systems are porous, so they allow water to infiltrate the pavement and drain into the ground or sub-base rock underneath. These paving systems are just as strong and durable as traditional paving materials such as concrete, asphalt, or compacted gravel. Several types of porous paving grids exist, including plastic grid pavers with flexible joints; rigid or rolled plastic pavers; interlocking concrete grids; and permeable concrete and asphalt pavement. How do permeable paving systems work? Diagram of how permeable pavers work. The permeable pavers have open cells that are filled with gravel or grass and are designed to let water enter into their surfaces, get detained in the rock base, and absorb into the ground beneath. Paving systems that use hardscape surfaces (concrete, asphalt, or compacted gravel) will collect stormwater, causing it to pool or run off. Instead, permeable pavers have a porous surface that naturally mimics and recreates the way the ground reacts to rainwater. The rate at which the water drains into the surface depends on the specific type of permeable paving system used. What benefits do permeable pavers provide over traditional paving methods? Permeable pavements aid stormwater management, reduce runoff, and decrease flooding risks. Conventional concrete, asphalt, and gravel-only pavement are the primary generators of stormwater runoff. Runoff is dangerous for cities, as the water collects contaminants and gets hotter as it rolls through streets. Eventually, this runoff will flow into and disrupt the natural waterways. Runoff can also overwhelm stormwater management systems, which causes flooding and other problems in cities. To minimize flood risks, most cities and counties limit the amount of impervious surface for new construction and buildings. Permeable pavers offer solutions to meet those impervious cover code restrictions that are intended to regulate stormwater, reduce flooding risks, and protect natural waterways. The results of permeable paving systems are environmentally friendly parking lots, roadways, industrial yards, fire lanes, driveways, and other paving applications that absorb and detain water and prevent flooding. 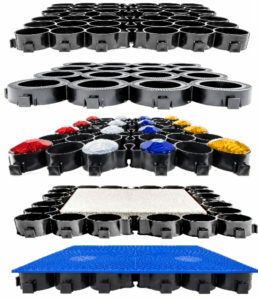 Example permeable paver applications (from left to right): Patios, RV Pads, Pet areas, parking lots, industrial applications, stables and paddocks, grass driveways, ribbon driveways, and more. Grass- or gravel-filled permeable paved projects also help reduce the urban heat island effect, which is caused when the sun beats down on hardscaping materials, leading to a buildup of temperature. In essence, permeable pavers help keep communities cooler in the hot weather months. Save money and land by eliminating your detention pond with the TRUEGRID Paver system. What’s more, permeable paving systems allow developers to maximize land usage by reducing or eliminating the need for separate detention ponds — and they create a natural atheistic that simply isn’t achievable with hardscape materials. How do costs compare with other paving methods? The cost of permeable pavers is a plus, especially compared with traditional materials. Both short-term and long-term budgets can benefit from permeable paving systems, depending on the permeable system chosen. Plastic grid pavers with flexible joints and plastic rollout systems often both cost less to purchase up-front and to maintain over the long term than traditional systems. Other permeable systems that might help with stormwater management — such as permeable asphalt and concrete — typically cost more to install and maintain than traditional concrete or asphalt. What are the different types of permeable pavers? Originally, permeable pavers were made from concrete or brick with gaps between the pavers or bricks to allow water to drain through to the sub-base. These were used in small decorative areas to reduce ponding. 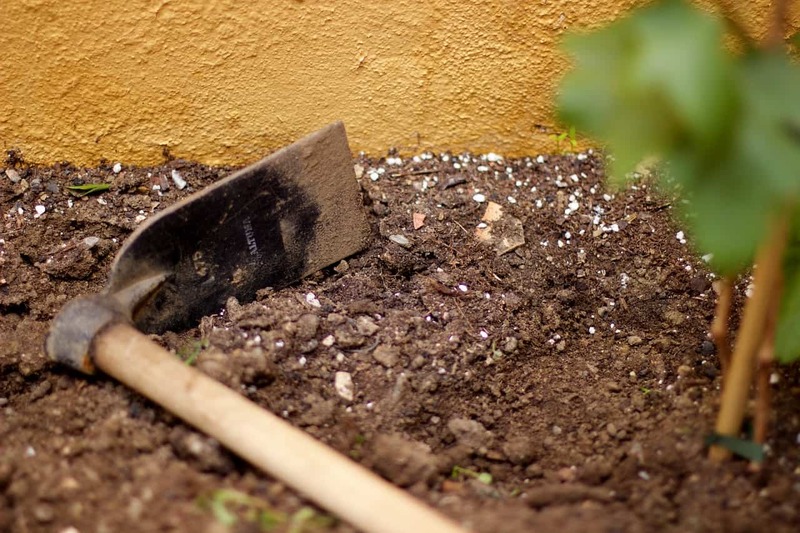 Now, however, several types have emerged, including porous asphalt and recycled plastics that are much more permeable than these permeable concrete, asphalt, or interlocking concrete pavers. These days, a wide variety of types of permeable pavements and surfaces are available, each with its own set of pros and cons. The exact system you choose should depend on the nature of the application and your goals and requirements for the project. Here are a few options: l Permeable concrete — Concrete mixed with stone and laid without a sand or gravel sub-base is more porous than conventional concrete pavements. Permeable concrete has a rougher look than traditional concrete, yet it has the ability to slowly absorb water reducing runoff. Still, this type of paving has limited capacity for water drainage, frequently requires maintenance, has high installation costs, and is more brittle than conventional concrete, resulting in cracks and potholes. l Interlocking concrete/brick paver — Interlocking bricks of concrete create small gaps for water to drain between them. The concrete itself might not be permeable, but the interlocking construction of the paving grid still allows some water absorption until the open areas become clogged over time. The drawbacks of this system are its high price, its decreased permeability over time, and its use being restricted to small residential or light commercial applications. l Porous asphalt — Like concrete, asphalt isn’t traditionally a porous pavement material. However, it can be made porous and laid on top of a stone storage bed that allows rainwater to drain into the underlying soil. Despite its ability when new for rainwater to permeate and not pool or run off, the small pore size of porous asphalt can quickly lead to severe clogging, frequent maintenance requirements, and low strength and fragility, which can lead to potholes and ruts. l Plastic grid pavers — Commercial and industrial strength semi-flexible, cellular plastic grids filled with gravel or grass work best for heavy automobile and truck traffic. 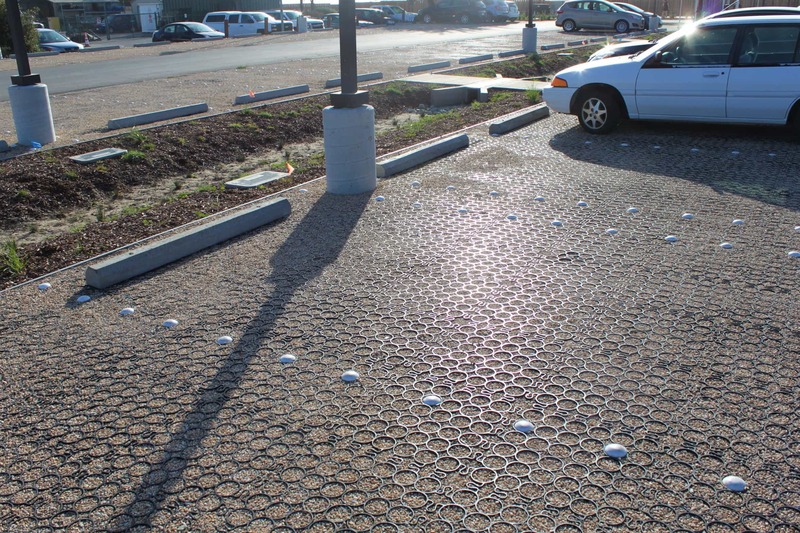 These grid pavers hug the earth without developing cracks or potholes as it moves. The plastic grid offers optimal soil or gravel retention as well as maximum permeability. This system provides 100 percent pervious cover with stormwater detention underneath for greater land utilization, best installed cost, and virtually maintenance-free long-term performance in industrial, commercial, and residential applications. These are the best choice for heavy-load, heavy-use paving applications. l Rigid plastic pavers — Plastic pavers can also be made into rigid structures often with hexagonal cells, making them stiffer and less flexible. While this results in good compression strength in product lab tests, the lack of designed-in flexibility causes issues in real world applications that aren’t completely flat or have commercial traffic or heavy loads. These are generally used only for grass-filled applications. l Rolled plastic paving — For increased flexibility, plastic paving systems can be rolled for easy storage and shipping. The compromise to allow rolling is that the cells are small and not conjoined so there is minimal load strength for commercial applications. For grass- or gravel-filled applications, these are used primarily for foot traffic and light load applications. These systems require staking, which increases the installation cost. TRUEGRID Permeable Pavers are ADA Compliant. Are permeable pavers ADA-compliant? 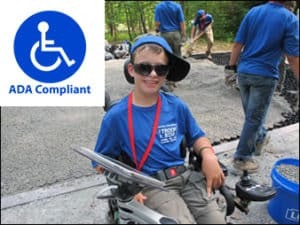 Permeable pavers are Americans with Disabilities Act-compliant, provided the right types of fillers are used and the systems are installed properly with minimal transitions between pavers. Your vendor and installer should know how to lay permeable pavers to meet ADA standards and safety regulations for anyone who might be utilizing them. Should you choose a permeable paving system? If cost-effectiveness, durability, safe drainage, and flood protection are important factors to your project, then permeable pavers are smart choices. If land utilization is important, a grid permeable paver system with detention under the surface is the best choice. If sustainability and protecting the landscape in your area are important, then permeable pavers are necessities. For more information about the different types of permeable pavers and their many uses, download our whitepaper by clicking here, or contact TRUEGRID Pavers today.